Reno Tahoe Senior Games – Support PB in Truckee Meadows! Did you know that the City of Reno’s uses participation numbers and revenue from the Reno Tahoe Senior Games to allocate funds, staffing, and facility usage? That is just one of many good reasons to support the City of Reno and make pickleball once again the sport with the biggest participation numbers. Bragging rights and current and future courts are on the line! 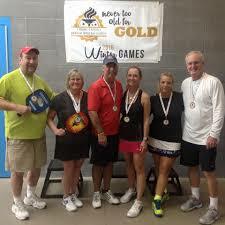 Please sign up for the Reno Tahoe Senior Games! Let’s thank the City of Reno for helping Truckee Meadows Pickleball grow and keep growing. Registration is open for the 2019 Winter Reno Tahoe Senior Games through January 28th. Grab a partner or two! You may register online through this link or you may print out the registration packet here and register in person at Neil Road Recreation Center or Evelyn Mount Recreation Center. Previous Previous post: COURTS ARE READY FOR PLAY!